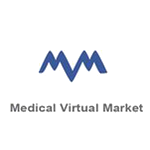 MedicalVM is an innovative platform for the creation of purchasing centers. MedicalVM provides immediate savings and great profitability in the short, medium and long term to companies of all sizes and sectors. It is especially powerful for business groups and associations that want to offer a central purchasing service to their associates. MedicalVM includes procedures for Cataloging, Supplier Evaluation, Negotiation, Order Tracking, Incident Management.